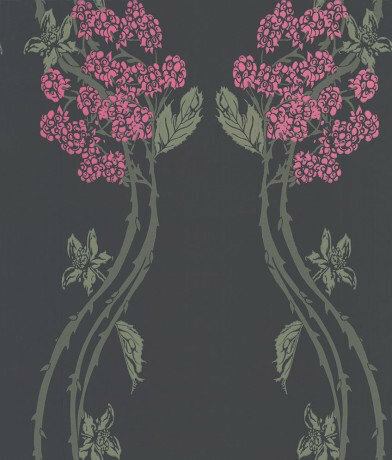 A pretty trailing floral style design featuring pink berries and green thorn branches on a dark charcoal background. Other colourways available. Please request a sample for true colour match. 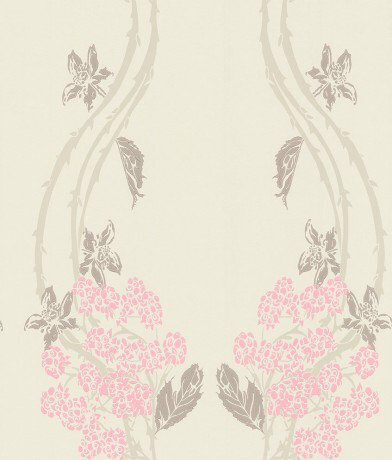 A pretty trailing floral style design featuring pink berries and taupe thorn branches on a cream background. Other colourways available. Please request a sample for true colour match. 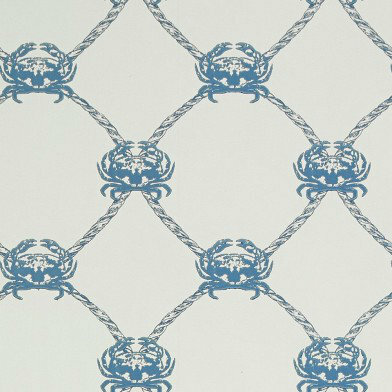 A crab motif with a hand painted effect placed in a net trellis design using cord to make a pleasing diamond effect. Shown here in the dark marine blue. Please request sample for true colour match. 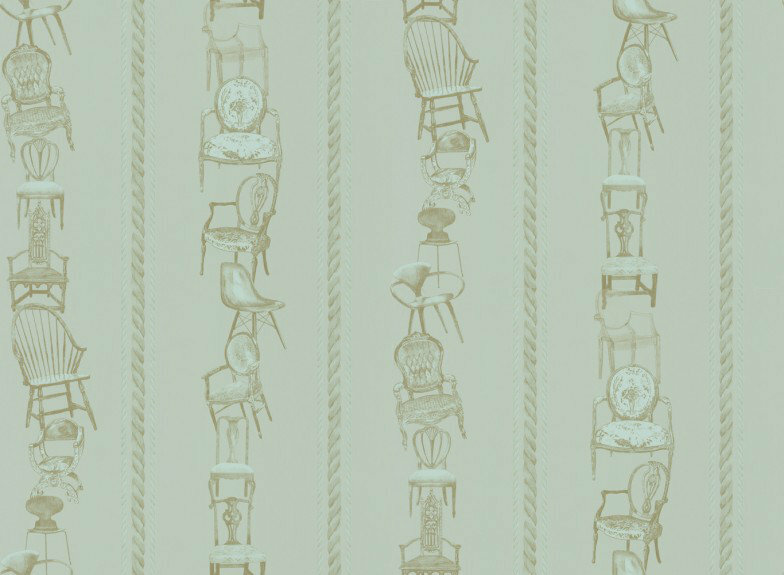 Pattern repeat actually 26cm.